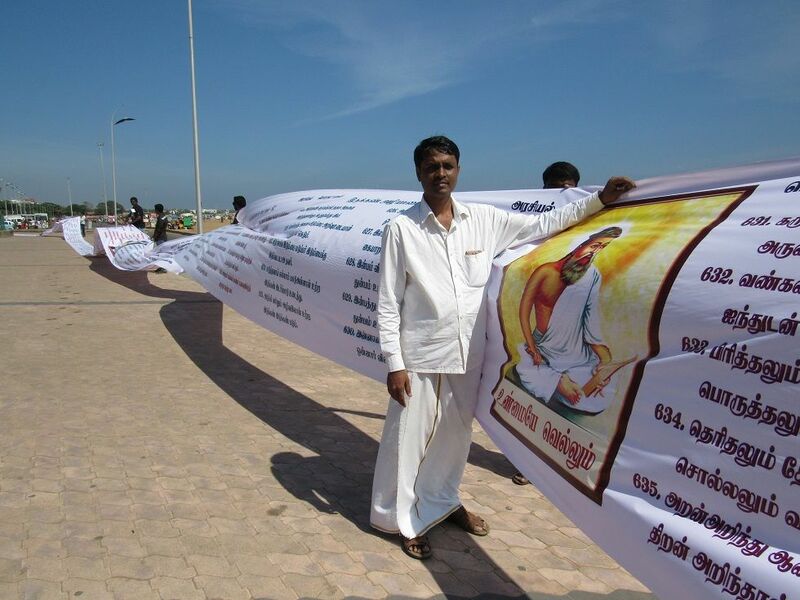 Today (Sun, Jan. 10), the largest banner containing Thirukkural (திருக்குறள் ) verses in Tamil, was unveiled @ Marina beach, Chennai. 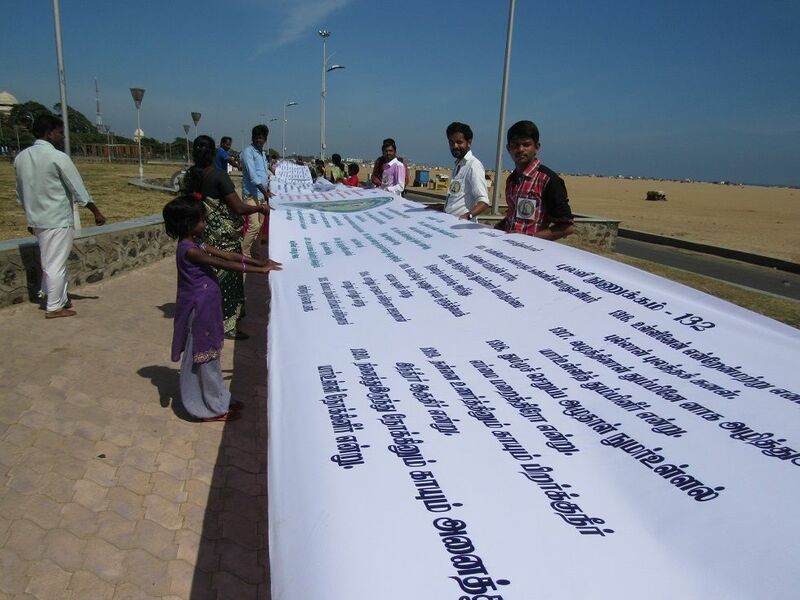 This banner is 1330-feet long and has been brought out by தமிழர் பண்பாட்டு நடுவம் & தமிழ் ஆன்றோர் அவையும் organizations. 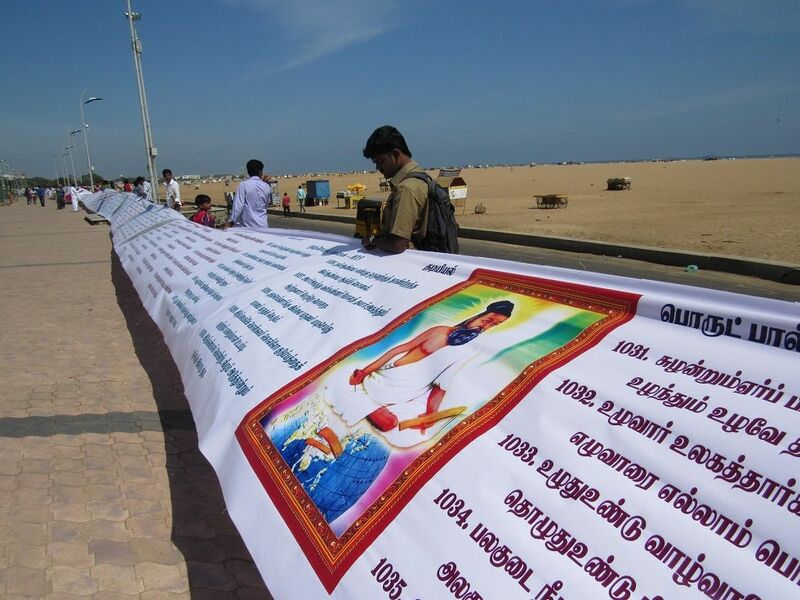 It seems they brought out a similar 440-feet banner last year, and this year they have almost tripled their effort with a 1330-feet banner. There are 1330 life-guiding verses in Thirukkural, estimated to be written more than 2000 years ago by a Saint called Thiruvalluvar. 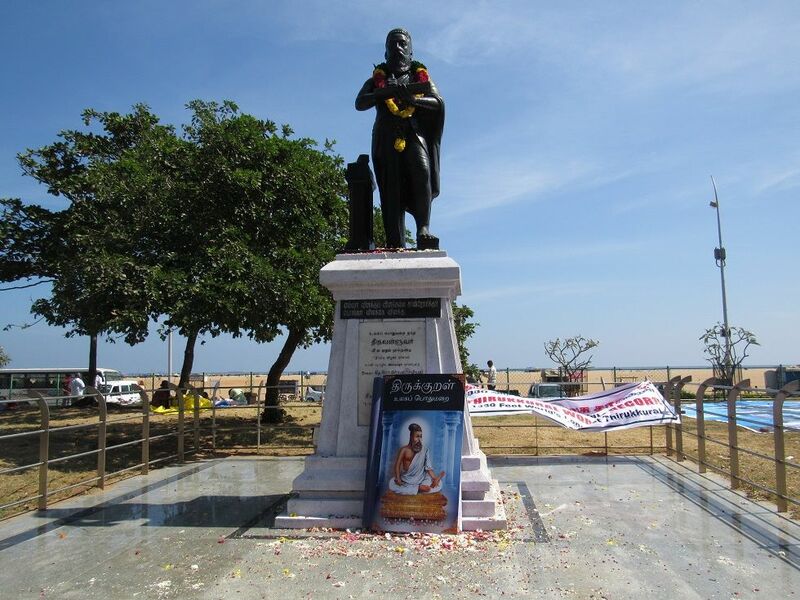 It is one of the prized, famed and precious possessions of Tamil people around the world, and now people are taking this literature to the world! 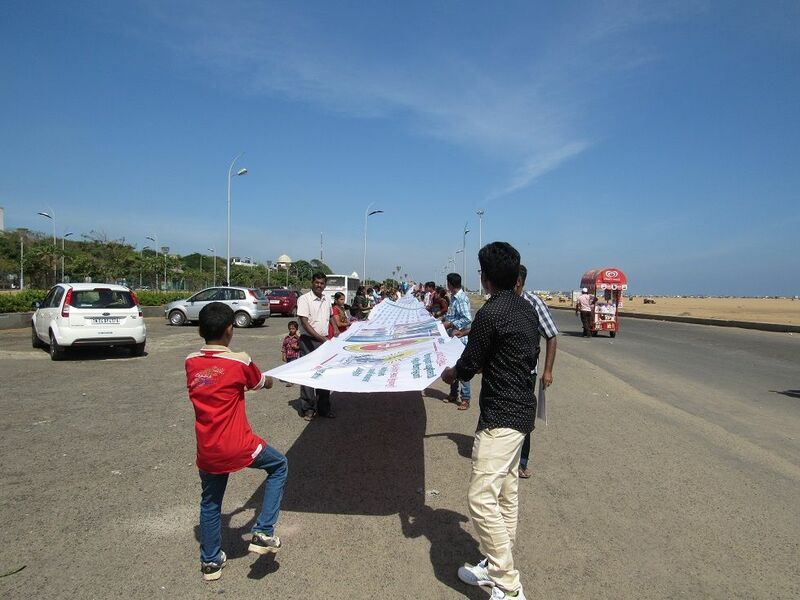 The organizers have applied for Guinness Book of World Records for this effort – let’s hope they get it. To announce Thirukkural as a national book. To teach Thirukkural in all schools. To bring out a stamp for Thirukkural in Tamil. 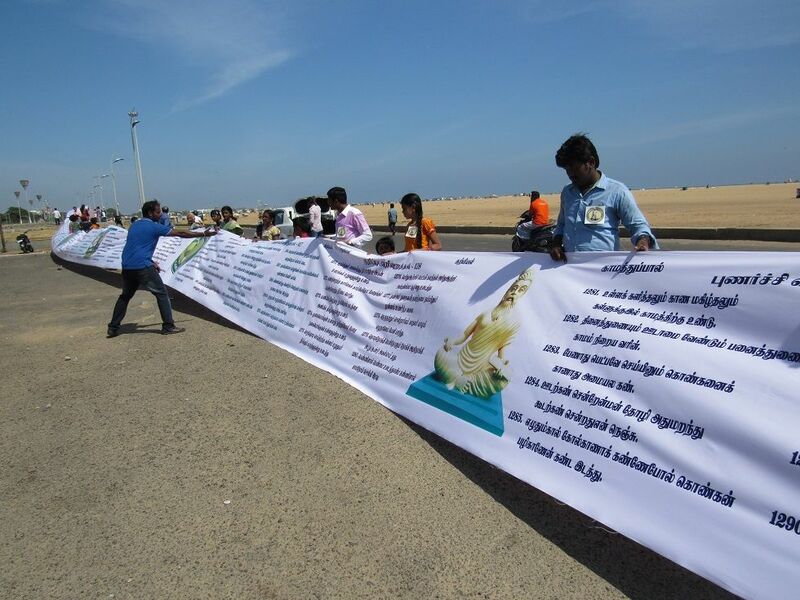 To build a statue for Thiruvalluvar in Parliament. 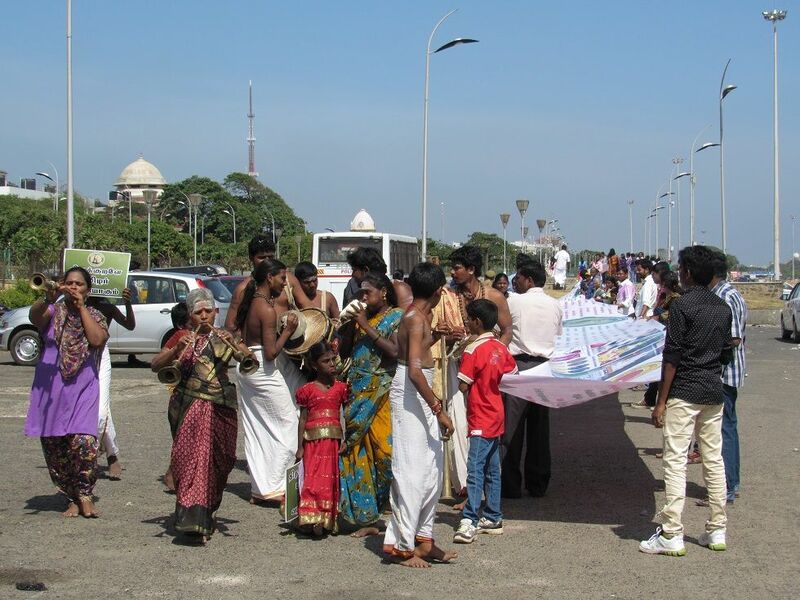 To declare Tamil as one of India’s official languages.